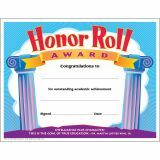 Trend Honor Roll Award Certificate - Honor roll award certificates feature an inspiring quotation and contemporary artwork. You can easily customize them for any occasion. 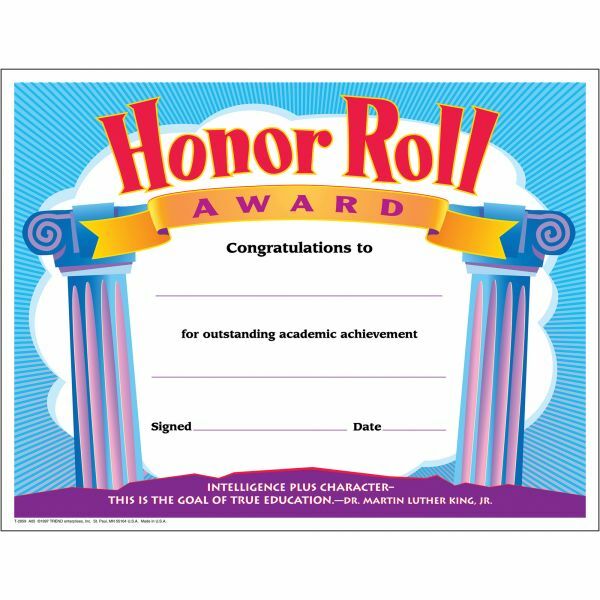 Each ready-to-frame certificate offers congratulations with the Dr. Martin Luther King Jr. quote, Intelligence plus character - This is the goal of true education." Ideal for students in third-grade to eighth-grade (ages 8 to 14)."